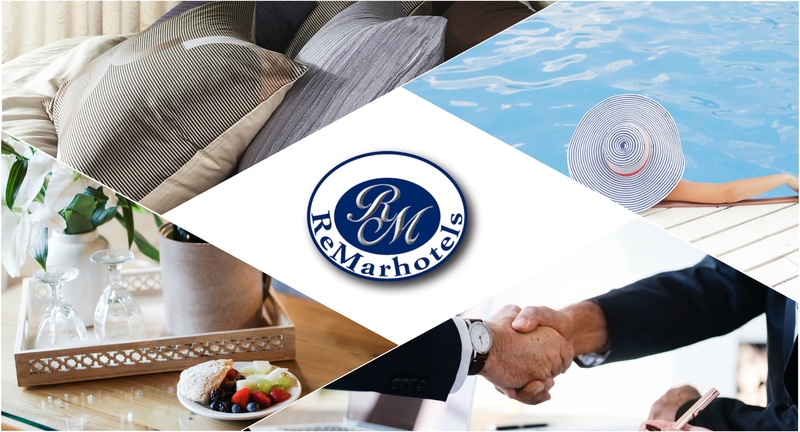 ReMarHotels, a group of five prestigious four star hotels in Italy has moved to Bookassist. The hotels are located in areas of high demand, in the historic centres of Rome, Florence and along the beautiful coastline of Versilia. All hotels experience high levels of occupancy. The Nocioni family who have managed the group for two generations opted to move to Bookassist given the company’s track record in improving margin for hotels. The bookings were coming in but we knew that we had to improve margin as we were increasingly relying on business from OTAs. Since we went live with our new group website, designed and built by Bookassist, we have seen an immediate improvement in direct bookings.The group technology allows us to cross sell our hotels in the event of one hotel being sold out for a particular date. Rather go back to the OTAs to look for alternative accommodation, as our customers used to do we are able to propose our other hotels instead. We expect to see even better results as we continue to work with Bookassist on our direct booking strategy. We’re excited to be part of Hospitality Day, now in it’s 5th year and attracting over 4,500 attendees from all over Italy. 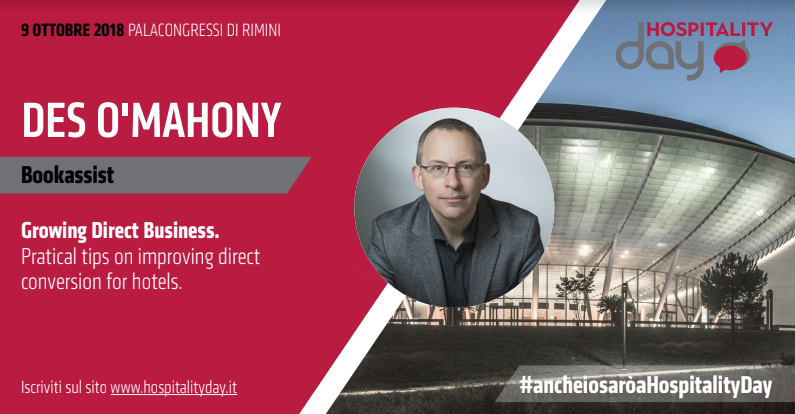 The event is set in the largest conference venue in the country, Palacongressi di Rimini on the 9th of October 2018 with 17 meeting rooms and 136 seminars in total. This is not one to be missed! ​Digital Marketing and Meta Search continue to be strong growth areas for hotels, and critical in reaching the direct customer. 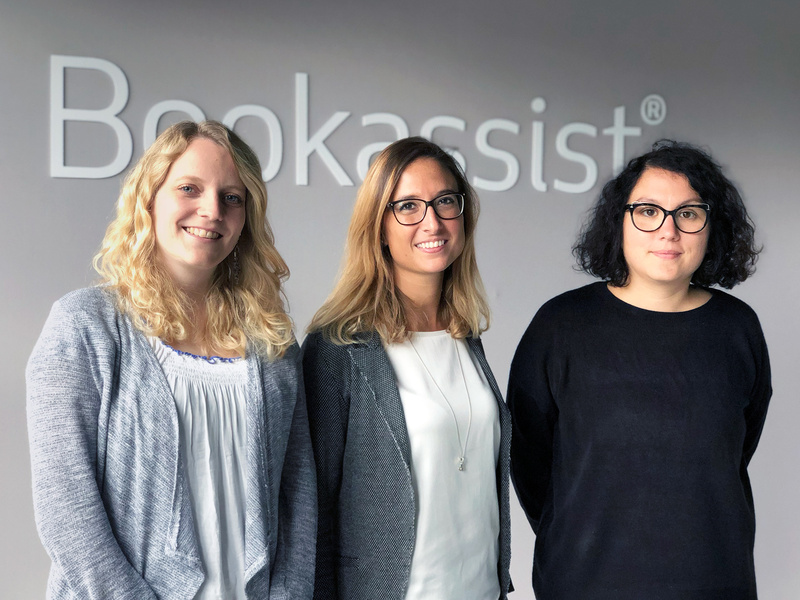 Bookassist welcomes three members to our growing multilingual and multinational Digital and Meta Search teams. Simone comes from the beautiful state of Bavaria in Germany and says “I found my life’s calling in Digital Marketing while studying International Marketing in the US. I’m also very passionate about exploring foreign cultures, food and languages, especially from Latin-American”. Geraldina was born in Rome and counts French as a mother-tongue as well as Italian. She is interested in photography and travels and says “I found my passion for Digital Marketing 4 years ago and I’m happy to specialize in Meta Search”. Elena hails from Modena in Italy. She says she “fell in love with the digital world before the arrival of social media”. When not working she loves cooking Italian recipes and skydiving. Bookassist teams are multiskilled, multinational and multilingual - a must for global reach on the internet. The teams deal with all aspects of digital and meta search presence for Bookassist clients in English, French, Spanish, Portuguese, Italian, German and Czech. 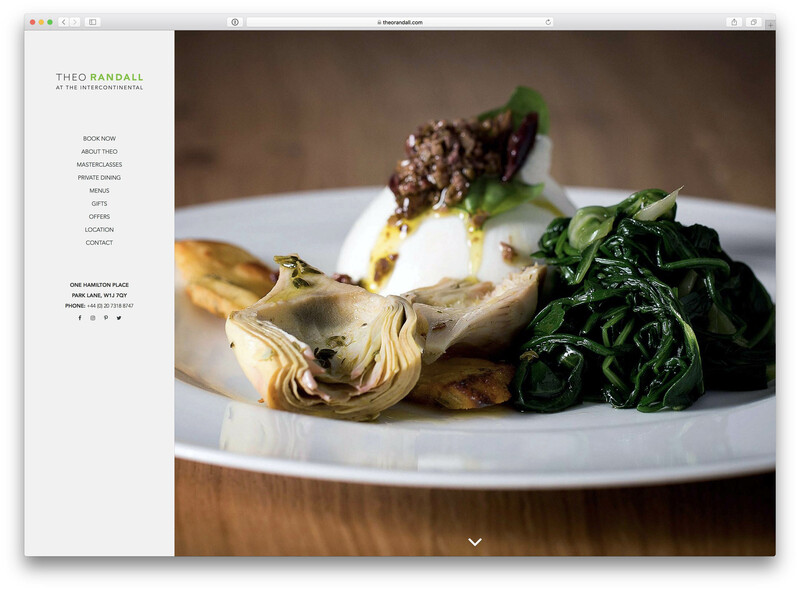 Bookassist Web Design team is delighted to have created the website for Restaurant Theo Randall at The Intercontinental Hotel, Park Lane, London, named after the world-renowned chef! Why not book online to pop in and chow down next time you’re in London?